China produces and exports more fireworks than any other country in the world, maintaining a deep and historic connection with these colourful displays. But they are much more than just a pretty presentation for tourists and locals, they have been a vital part of China’s culture for centuries. Where better to experience them than in the motherland itself? We are here to guide you through the best firework celebrations in China, as well as tell you some little-known facts about them. 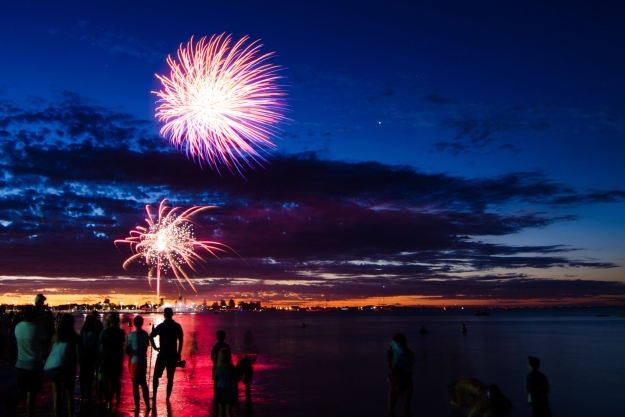 While some historians believe that the first examples of fireworks came from the Middle East and India, the Chinese have been credited with the birth of firecrackers. In 200 B.C. they found that if you roast bamboo it will explode as a result of air pockets heating up. They were then used to ward off evil spirits. You can perhaps credit other countries with developing the first fireworks, but it was certainly the Chinese who shaped everything we know and love about the modern version. Between 600 and 900 A.D. alchemists mixed saltpetre (potassium nitrate), charcoal, sulphur and other ingredients to accidently make an early form of gunpowder. This substance was then stuffed into the bamboo shoots and thrown into a fire, creating a much more dramatic blast. Throughout the following centuries this form of fireworks would be used in battle and also in celebration for successes in military engagements. During the 12th century the Chinese had learned how to fire them into the air with precise guides. This development meant that they could use these in aerial displays as well. Today fireworks make up around 60 per cent of China’s £465million pyrotechnic exports, as the ever more creative designs make for bigger and better shows. 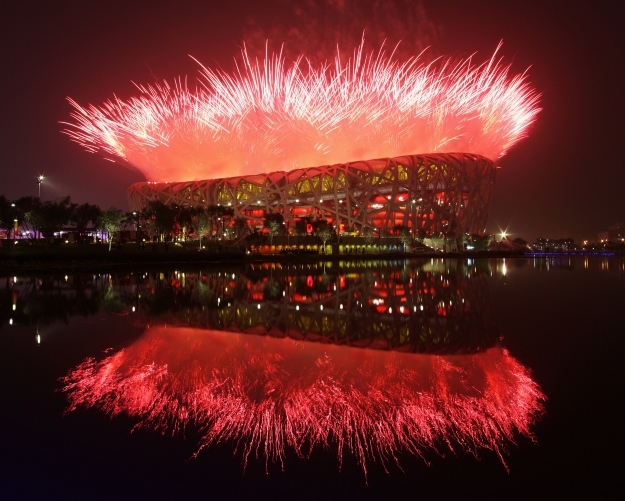 In the skies above the 91,000 spectators at the Bird’s Nest Stadium and live on the television screens of the 4 billion watching at home, the 2008 summer Olympic Games started with a bang following the extraordinary opening ceremony. It will go down as one of the most iconic starts to an Olympic Games ever, not to mention one of the most incredible firework performances of all time. In all, 30,000 fireworks were used during the opening ceremony alone. The four and a half hour spectacle of Chinese design and art didn’t just help to ignite excitement across the nation, but laid down a benchmark for London and Rio De Janeiro to match their extravagance in the following Olympic Games. It almost goes without saying; the world’s leading producers of fireworks know how to put on a stunning display. There are countless opportunities for you to join in the festivities and celebrations of a country that is still so closely tied to its traditions and culture, but we have picked out some of the biggest and best for you. On Friday the 16th February 2018 Chinese people across the world will gather and celebrate the Year of the Dog. There are 12 Chinese zodiac signs: Rat, Ox, Tiger, Rabbit, Dragon, Snake, Horse, Goat, Monkey, Rooster, Dog and Pig, these animals were used to date the years. Your own zodiac sign derives from the year you were born. For instance, if you were born in 1967 then you were born in the year of the Goat. It will be another 12 years before your sign comes back around. 2018 is the year of the Dog, meaning anyone who was born 1958, 1970, 1982, 1994 and 2006 could be in for a bad year. It is believed that in your birth sign year your animal will offend the God of Age. Otherwise known as the Spring Festival, this is by far China’s most significant traditional event. Starting on New Year and lasting between seven and fifteen days, the country is alive with colour and firework displays light up the skies. It is a beautiful time to book a China holiday, as everyone is gearing up for the celebrations. You will find that this starts weeks before New Year, with the Laba Festival, cleaning, shopping and setting up decorations. New Year’s Day begins with an emphatic fireworks display that isn’t exclusive to the cities. You’ll find that there are some equally brilliant shows in rural China. 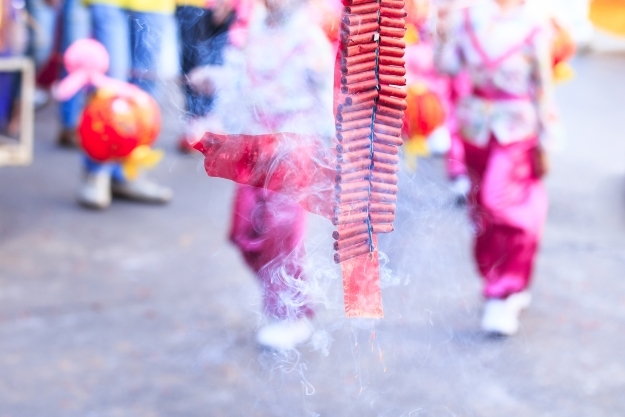 Spring Festival often begins and ends with fireworks, so experience the best of both worlds and enjoy one in the major cities and the other in a more remote corner of the country. Taking place from the 24th to the 26th of July each year, the Torch Festival is a significant tradition for the Yi, Naxi and Bai ethnicities of southwestern China. The Yi are a minority group in China found in the hills and mountains of the Guizhou, Sichuan and Yunnan provinces. This is a celebration rich in culture and tradition, dating back many centuries. Anyone fortunate enough to be on a China holiday in this part of the country will be greeted with traditionally dressed men, women and children carrying flaming torches and partaking in a range of activities. It is believed that the torches that are carried and set up in front of houses will ward away bad luck, while bonfires, fireworks and musical performances will be set up for people to gather. You may not associate the world’s biggest ice sculpture festival with fireworks, but the Harbin Ice and Snow Festival lights up beneath its firework display. Running between the 1st January and the 15th February, the annual event attracts between 10 and 15 million visitors. The festival is a celebration of art and light as much as ice and snow. Incredible structures are created from thick blocks of ice and illuminated by LED lights. Walk through life-size castles and buildings in this surreal experience. Harbin is set aside from anything else you have ever seen thanks to the sheer size of it. You walk through an entire town of ice with bright colours dancing all around. Across the festival you have three venues to choose from: The Sun Island Scenic Area, The Ice and Snow World and Zhaolin Park. The Ice and Snow World is where you will find icy-replicas of buildings and even the Great Wall of China, but head to Sun Island for equally spectacular snow sculptures. Zhaolin Park is tailored more for children, with animals, magical figures and sculptures brought to life thanks to ice lanterns dotted around the area. But it is the fireworks we are most interested in and they are, arguably, the most amazing sight in this already incredible location. Concluding the end of the opening ceremony of the festival bright colours dot the sky as each of the various sculptures sparkle with tones of red, green, blue, purple and more beneath. You aren’t going to find another fireworks display like this one. China is the largest manufacturer and exporter of fireworks in the world, producing 90 per cent of the global supply. Fireworks were first recorded in England back in 1486 at the wedding of King Henry VII. 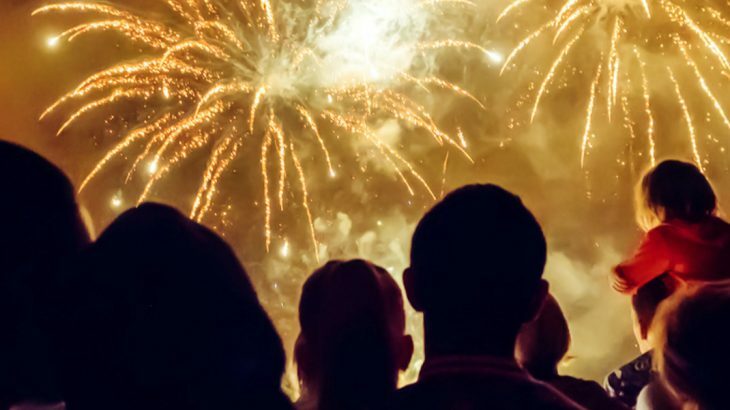 It is believed that if you dream about fireworks then you like to be the centre of attention and show off to others, as well as symbolising enthusiasm and exhilaration. How about an edible firework? Well in 2002 there was a 3 metre high and 1.5 metre in diameter chocolate firework weighing 60kg set off in Zurich for New Year’s Eve. The Japanese word for firework, ‘hanabi’, translates to “fire-flower”. The colour of a firework depends on the elements. Within a firework you will find a concoction of metal elements and as they burn the electrons begin to release energy in the form of a light. So, different elements will release different lights, copper for example with produce shades of blue, while titanium and magnesium will appear silver or white. Book an escorted tour of China with the UK’s leading Asia Experts, Wendy Wu Tours. Our fully inclusive tours visit all the major sights of China for an unforgettable holiday. China festivals, fireworks, history, top things to see. permalink.